3. the aberrant functional connectivity as general pathophysiological mechanism. The specific focus of the TNM-Lab is on predictive neural mechanisms in a multisensory environment as well as adaptive behavior reflected in learning, memory and neuro-functional plasticity (e.g., in context of psychotherapy). Additionally, the TNM-Lab is concerned with interdisciplinary research questions of how the human brain gives rise to complex processes such as ToM, social interactions and communication. In this sense the TNM-Lab combines multidisciplinary fields such as speech science, social, cognitive and clinical psychology with experimental neurosciences. The main method used in the TNM-Lab is functional magnetic resonance imaging (fMRI). Complementary to fMRI we also apply electroencephalography (EEG), brain stimulation techniques (tDCS) as well as behavioral experiments. The TNM-Lab, is part of the Center for Mind, Brain and Behavior (CMBB) and collaborates with different research consortia as well as national and international researchers. 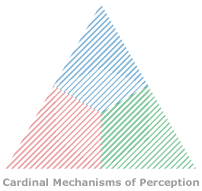 In particular, the TNM-Lab is associated to current DFG consortia in Marburg and Gießen regarding the neuroscientific investigation of action (IRTG 1901; Title: The Brain in Action), perception (SFB/TRR 135; Title: Cardinal Mechanisms of Perception) and their dysfunctions in psychiatric disorders (FOR 2107; Title: Neurobiology of Affective Disorders).